About 8 months ago, I set out to do something I’ve wanted to do since I could first read maps: overland from Europe to South Africa. My journey started in the UK and after skimming through Europe has now taken me to the country of Burkina Faso. About a couple months ago, however, I thought of a bit of a hitch into my journey which had previously been completely via public transportation, I bought a scooter and will now continue via my own two-wheels. Since starting my journey a countless number of people have said something like “wow, I’d love to do that but I wouldn’t know where to start“. Well, in this post, I’m going to give you a little bit of an insight on how you could overland from Europe to South Africa too. These are your transportation options for overlanding Africa. 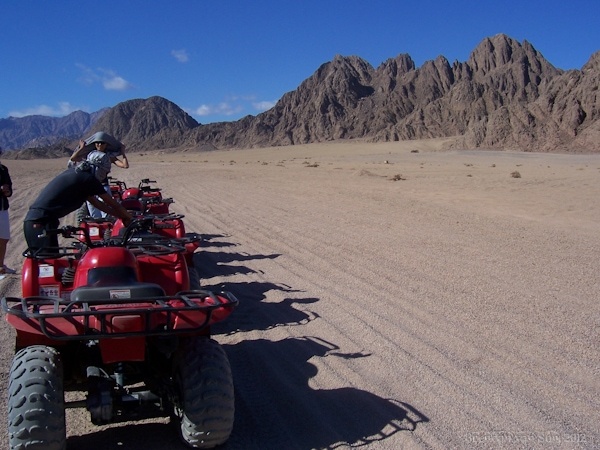 Overlanding tours means great group activities too! Bet you didn’t think of this one did you? In Canada, we see these things everywhere and in the UK it’s much of the same during the summer months. The beauty of caravaning is that you have everything right by your side. I have met plenty of caravaners in Africa, and they always seem to have it best. Be sure that before you take on such an endeavour that you get a caravan sturdy enough for the often bumpy African roads! Moreover, if you’re coming from the UK, be sure to get your vehicle protected as well. One great option is caravaning insurance by Caravan Club. Also, you are going to want to make sure you have all the registration papers, customs forms, and carnet worked out before you leave home. Personally, I would say that if you have the money go for the 4×4. Sure, you can get all the way to South Africa in a car quite easily. The problem is that if you want to get off the highways and visit some of the beautiful national parks along the way you’ll want 4-wheel drives anyways. Most parks are only really accessible via 4×4. Still, this is likely the easiest way to overland Africa by yourself. You’ll have the freedom to travel when you want, but still get all the travel interaction you can handle. As is the case with caravaning, be sure to get all the proper paperwork sorted for your vehicle before you leave home. 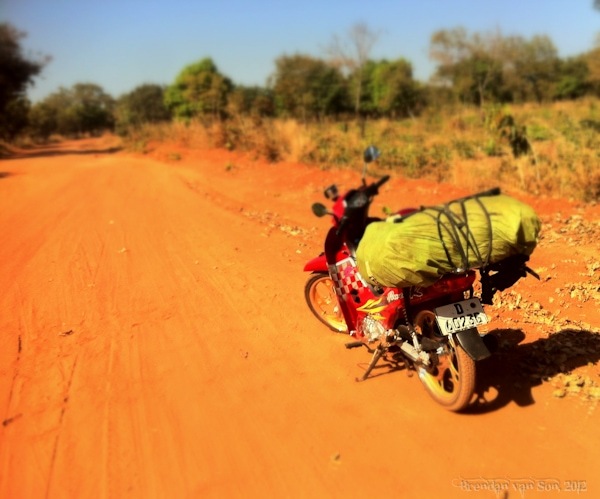 This is probably the most difficult way to overland Africa, but it certainly has its advantages. There really aren’t all too many things as sweet as cruising down the road with the wind blowing in your face. Also, if you get a sturdy bike you’ll likely be able to get anywhere that 4x4s can get although some national parks wont allow you in with the bike. 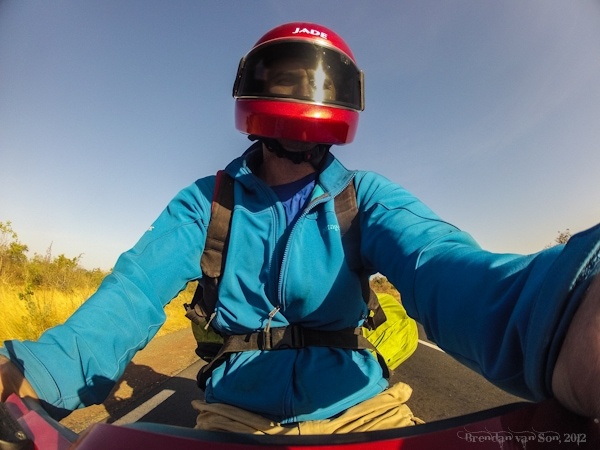 If you’re not a big rider, you can always do what I did and buy yourself a scooter in Mali for about $800 and start your journey that way. If you’re considering doing the trip on a small scooter like a vespa, it will be difficult because of the rough, and often sandy roads. However, I’m sure that it’d make a great story! This is likely the cheapest way to get around. 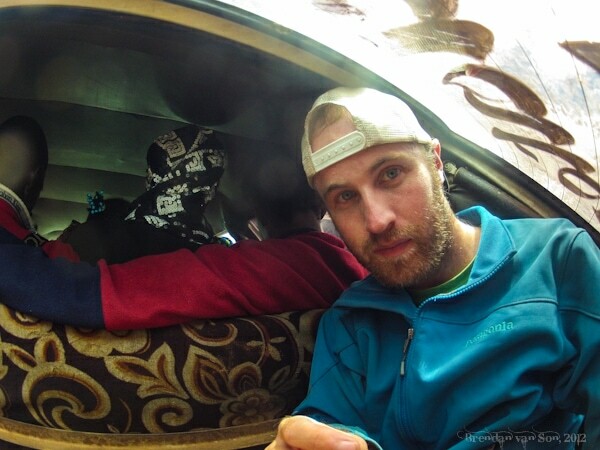 I got through 11 countries in Africa this way, and although I enjoyed it, it can be tough. The transport doesn’t run on a schedule, quite often and one can spend a lot of time waiting around. Moreover, smaller destinations are very difficult to get to if you don’t have your own form of transportation. 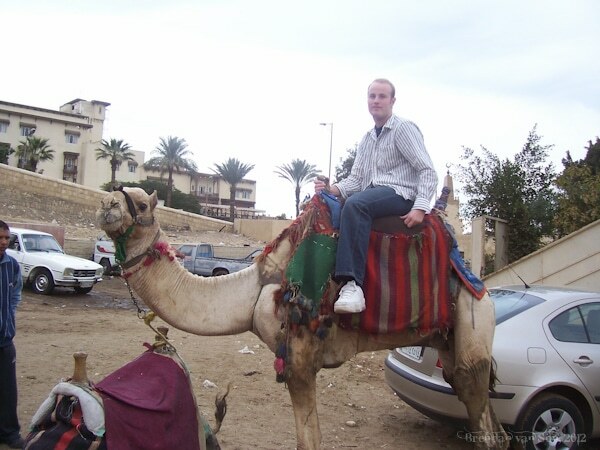 However, this is the one form of transport that will really connect you to the locals. For all its challenges, if you’re travelling to connect, this is the way to do it.